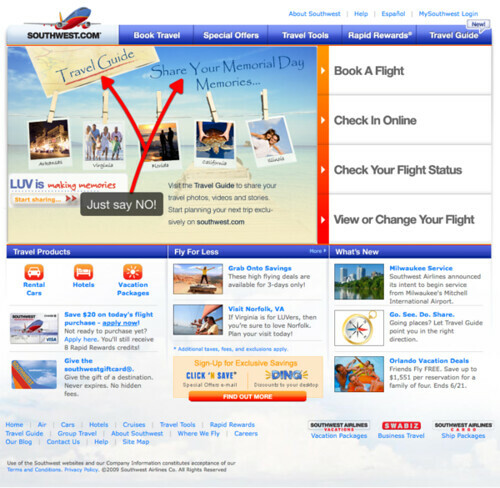 Papyrus on Southwest Airlines website? | Papyrus Watch - Exposing the overuse of the Papyrus font. Papyrus on Southwest Airlines website? Yeah, there is. Well @pjserven pretty much said it all on this Papyrus sighting on Southwest Airlines website which I thought was a special flight or trip package or something, but it might just be the homepage...it doesn't appear to be there now. Where am I going, Egypt?